What better way to start the new year than to get married! 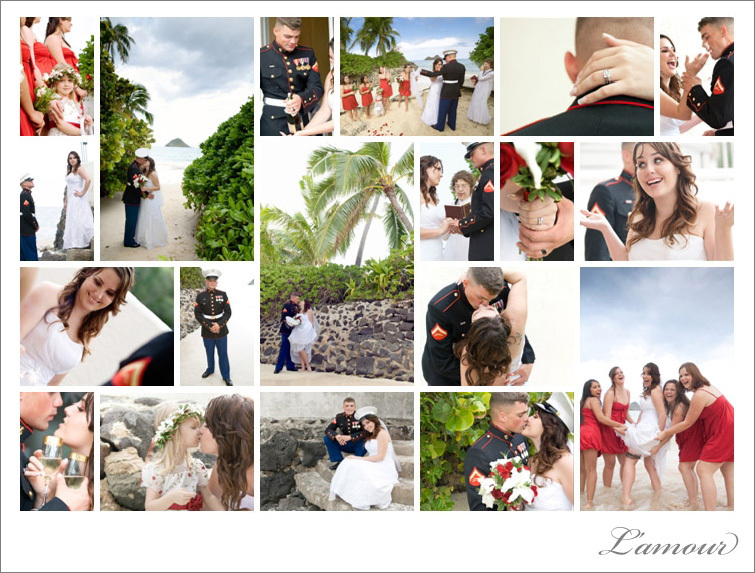 Alicia and Lee were married at world renowned Lanikai Beach on December 31, 2008. Ranked amongst the best beaches in the world, Lanikai Beach was the perfect backdrop for Alicia and Lee’s wedding ceremony. Alicia and Lee were surrounded by their closest friends and family as they exchanged vows and rings. 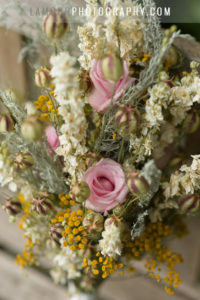 I loved all of the sentimental details of this wedding! Alicia looked beautiful in her mother’s wedding dress and incorporated her support for the US Marines into the ceremony and reception. Her garter belt was in camouflage print with the Marine Corps symbol on a charm in the center. The favors were accented by photos of Alicia with Lee in uniform. The beautiful, two tier, round fondant cake was made by Vikki at Sunshine’s Cake Creations. Eric and I never turn down cake at a wedding and are becoming some-what of wedding cake connoisseurs. This cake stands out in our minds as one of the best we have had so far. Perfectly decorated, sweet, creamy, and strawberries in the filling! Love it! Congratulations to Alicia and Lee on their beautiful wedding and marriage! We wish them the very best! 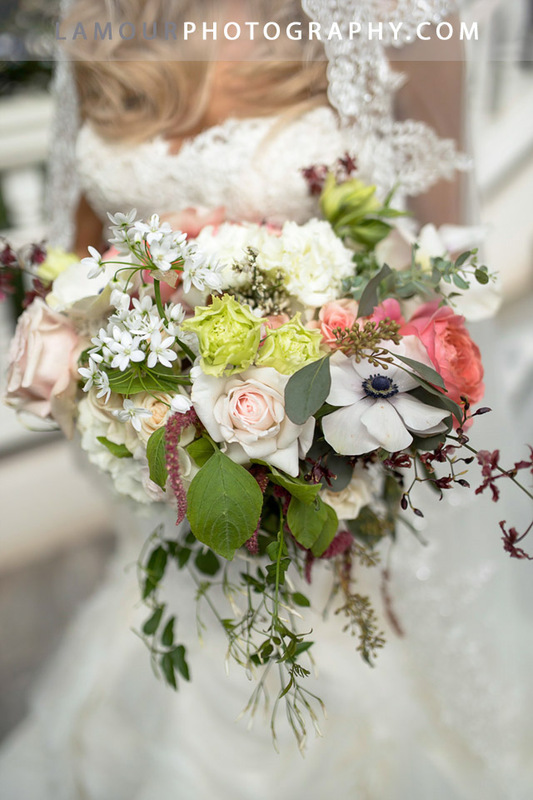 This entry was posted in Venues, Weddings and tagged Bouquet, Cake, ceremony, Dress, Lanikai Beach, Marine, Military, Oahu, Photographer, Reception, Red, Rings. Bookmark the permalink.